On today’s Answers From Leadership Podcast, I have the pleasure of talking with Leon Shapiro. Leon is the co-author of the new leadership book The Power Of Peers. Leon is the former chief executive officer of Vistage Worldwide, an international peer advisory group for business leaders. During his time at Vistage, Shapiro developed and implemented a long-term strategy to refocus the business on the support of the Chair and member network, invigorated and expanded Vistage’s brand, and leverage the global power of the Vistage community. 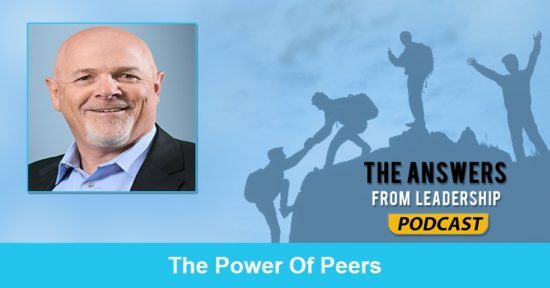 Today’s podcast episode also features a giveaway of Leon and Leo’s book The Power Of Peers. Read until the end to find out how to enter to win your copy. What else do you want listeners to know about you? Leadership evolves over the course of your career. Leadership is about setting direction and making sure your people have the tools and resources they need and stepping out of the way. The hardest thing to learn about leadership, in his case, is realizing that you set direction and letting people perform. 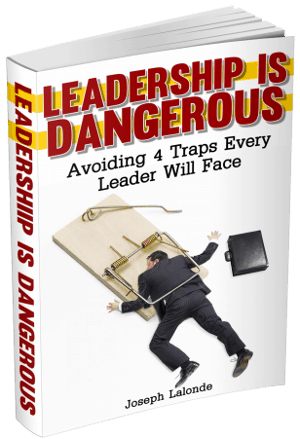 What is one failure you’ve had in leadership and what did you learn from this leadership failure? The failure that Leon has experienced more than anything else is the thought that he should be doing the work. By doing this, you disempower the people you lead. By getting in there, rolling up your sleeves, and feeling like you need to do the work, you disenfranchise the people you lead. One example of doing the work you don’t have to do is preparing board meetings. You feel like it’s your responsibility. So you over do it. You worry about every single detail instead of setting the vision or direction. Why do we continue to do the things we don’t need to? What’s so powerful about our peers? Regardless of what leadership position you’re in, everyone around you is giving you advice that is, by definition, objective. This includes your friends and family. All of this advice has one inherit problem: These people have a stake in the advice they’re giving you. What are the 5 essential factors for any peer advantage group? What’s one way you can be held accountable in your peer group? Just by asking those people to spend time with you on your issue, you begin to feel accountable to them. Number two, in a good group, they’re going to want to hold you accountable. The facilitator may even go over the commitments that were previously made at the beginning of the meetings. You don’t have to take action on every piece of advice that was given during a meeting. You can pick 3 or 4 from the list and let them know that is what you are committing to. How does a leader find the right peers? Your natural instinct may be to go find others who are in the similar field. What we found to be the most powerful thing you can do is to find a group of peers who may be at the same stage of leadership or have different levels of leadership but to have them bring their experiences from other industries. Doing this gets you views from varying perspectives. They’re not stuck in the same ideas you are. What happens if we discover we brought the wrong peer into our group? This is where the Smart Guide comes into play. These guides make sure there are group norms and operating principles that the groups use to interact. Both the group and smart guide need to decide on who is in the group and how they interact. Is there a guideline on when members can leave a peer group? People tend to stay in a peer group for 5-7 years. This a pretty long time compared to the average tenure of a CEO. There’s a sort of reliance that is built up within these peer groups. They typically don’t like to leave unless their situation changes dramatically. Have you found that people in the peer groups have trouble opening up to others in their groups? Opening up can take a little while. The natural instinct is to take one problem and get the groups opinion on the issue. But the group needs to understand the context in which decisions are getting made. Leadership really is about setting direction. Leadership is about being able to articulate a vision. And making sure everyone around you can clearly articulate the same thing. Is there a book that has impacted your leadership? Anything else you’d like to share with listeners today? I’m not going to drive home today without putting my seatbelt on. That same context and thinking should be applied to our leadership. Don’t think or feel you’ve need to lead alone. It’s unbelievable how much value you get from those around you. There is power in your peers. I didn’t forget about the giveaway I mentioned in the podcast. You have the chance to win 1 of 2 copies of The Power Of Peers by Leon Shapiro and Leo Bottary. For your chance to win, head on over to the contest page. Question: What have you learned from a peer group? Share your experience in the comment section below.